What Happens to Kittens If Neutered Too Early? The American Veterinary Medical Association agrees that a kitten can be neutered at 2 pounds. Animal rescue organizations agree that neuter is cuter. It helps with the pet overpopulation problem and promotes good kitty health. In general, most vets agree that neutering is a good thing. What's not so clear is when to neuter. That's when a bit of a kerfuffle develops. Neutering, though officially a gender-neutral term, is what lay people use instead of the more scientific term "gonadectomy" when discussing the castration of a male animal. It is done for a variety of reasons, most of which have to do with social responsibility and keeping Kitty healthy and happy. Kittens neutered at an early age usually suffer no adverse reactions to the surgery. In fact, most veterinarians who neuter at an early age report that the process is easier on both the surgeon and the animal, as opposed to operating on an older cat, reports Dr. Lila Miller in an article published on Petfinder. When is "Too Early" Neutering? Most shelter vets agree that animals can be neutered between the ages of 6 to 8 weeks, or when the kitten reaches 2 pounds. Most vets will not attempt to neuter a kitten less than 2 pounds. In a new campaign designed to promote neutering, Best Friends Animal Sanctuary advocates kittens be neutered at 12 weeks. There are studies to support both early neutering and waiting until the kitten is a bit older and sturdier, so the question of when to neuter is really left up to your vet. Many shelters advocate very early neutering because state laws prohibit the adoption of intact animals, so the sooner they neuter, the sooner the kitten goes home. Young kittens have a far better chance of getting adopted than older cats, so it makes sense to neuter them as soon as it is safe to do so. So, in the case of shelter kittens, those neutered earlier have a better chance of being adopted than those neutered later. What Can Happen If Neutered Too Early? 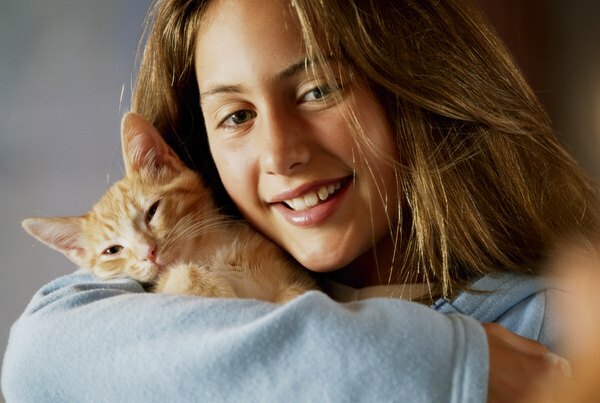 Pediatric neutering is easier than neutering an older cat because there is less blood loss, faster recuperating time and fewer post-op complications. In a study published in February 2004 by the Journal of American Veterinary Medical Association, researchers reported that there were very few risks associated with early-age neutering and many benefits. They did find, however, that cats who were neutered early, defined as under the age of 5 months, were more prone to shyness and hiding. In her Petfinder article, Dr. Miller addresses some common misconceptions about early neutering, including the belief that early neutering causes kittens to be prone to obesity, incontinence or chronic urinary tract infections. Early-neutering opponents also assert that neutering stunts a cat's growth and there are bound to be behavioral problems. However, Miller goes on to say that all of these concerns have been researched and the fears were "found to be unwarranted." In fact, the idea of urinary problems is ironic since one benefit of neutering is that male cats will not develop hormonally-driven behaviors, like urine marking. Petfinder: When is a Puppy or Kitten Old Enough to Neuter? How Do Mother Cats React to Kittens Leaving? Are Table Foods Bad for Yorkie Terriers? Can Cats Survive Diabetes if It Is Hard to Regulate? What Material Is Good to Fill a Dog Bed? How Early Can a Kitten Be Spayed? How Old Does a Kitten Have to Be When He Sprays?